A friend kindly donated this bike to me for use at our mountain home. This allowed me to bring the Rivendell Quickbeam home for good. 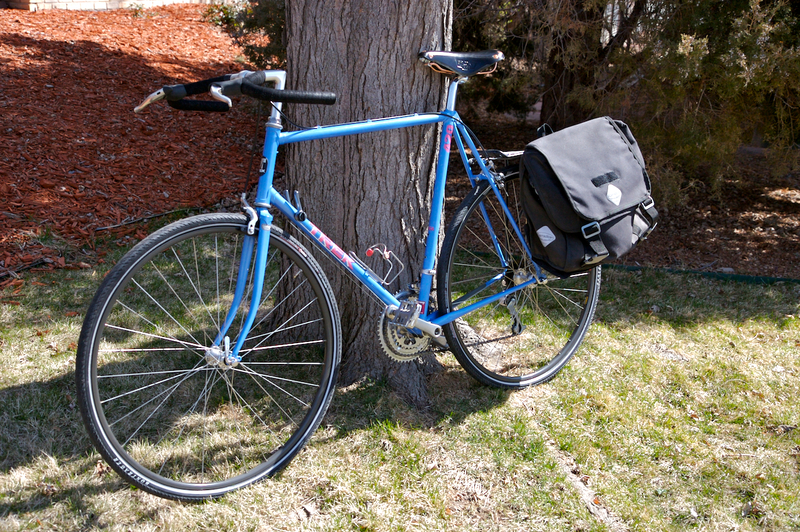 I converted the Trek to my liking, adding a Brooks saddle, a rear rack (kiped from the Serotta Rapid Tour and fairly fat Bontrager tires. Sadly I haven't put many miles on this bike at all, but it's good to have in the quiver.